Not a reference to my clothes after all the birthday cake, no... I have been busting with excitement to share some happy news with you all. I have been selected for my first ever stint on a design team! 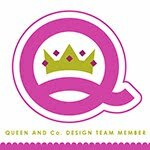 The awesome and fun ScrapTiffany site which offers super fun monthly kits has chosen their first design team and I am on it! I am so thrilled and can't wait to get started. Of course I will keep you all posted and show off my work for them as soon as I can. For now, go on over to their site and check out the announcement. Woohooo! I am so glad to have you on my team. Were going to have fun, and lots of firsts for all of us! Hi Rebecca! I'm so glad to be on the design team with you. Your work is amazing! I can't wait to see all the fun we're going to have! Congrats! That's awesome!! HUGE congrats to you!! You are going to knock their socks off!! fabulous! I can't wait to get to know you better! Your family is adorable! So excited to be working with you Rebecca!